An eastbound Penn Central freight thunders under the footbridge at West Rochester, New York. 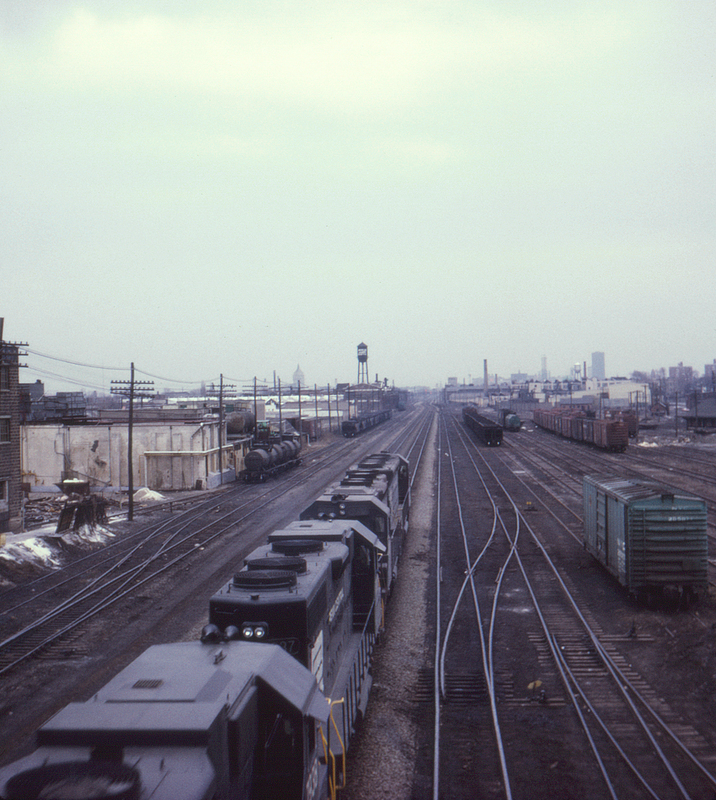 The interchange yard with the Buffalo, Rochester & Pittsburgh (B&O-owned at the time) is at right. The Kodak headquarters building is visible at center left in the far distance; the black monolith-like building at right is the Xerox building.